Every time I make my way to Berkeley Bowl West to go grocery shopping, I pass by a restaurant called Spoon Korean Bistro. Each time I pass it, I become intrigued. Today I asked my sister and BFF if they wanted to have brunch at Spoon and then go grocery shopping. They both agreed. The menu at Spoon was interesting because it had items that I had never experienced at other Korean restaurants. For instance, I have never had Korean porridge. 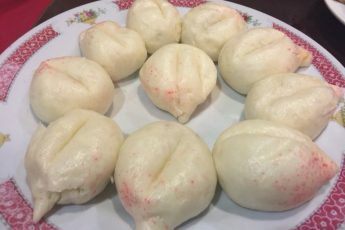 Spoon’s version is made with rice, quinoa, mung bean, and milk. 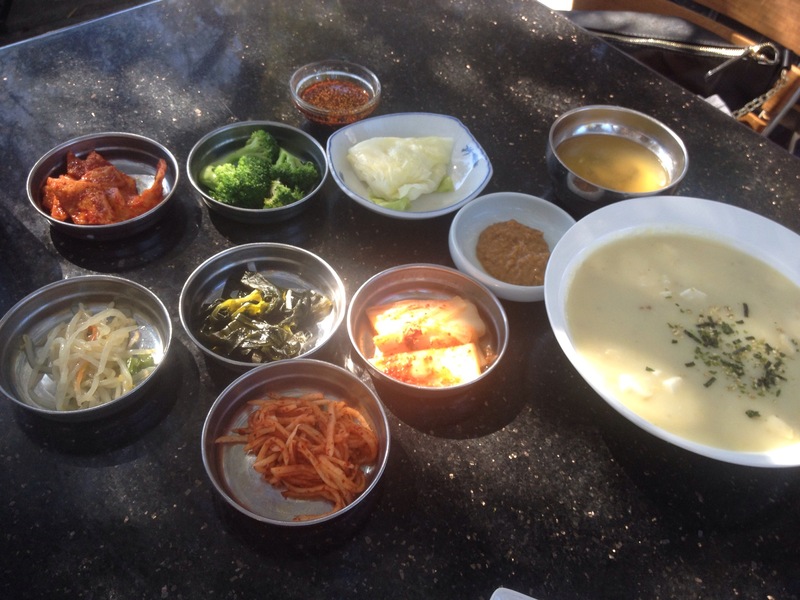 If you order porridge, you get the side dishes or banchan and you get a choice of an add-on that gets cooked into the porridge. We chose mushrooms. The porridge was thick and creamy, a cross between jook or Chinese rice porridge and oatmeal. 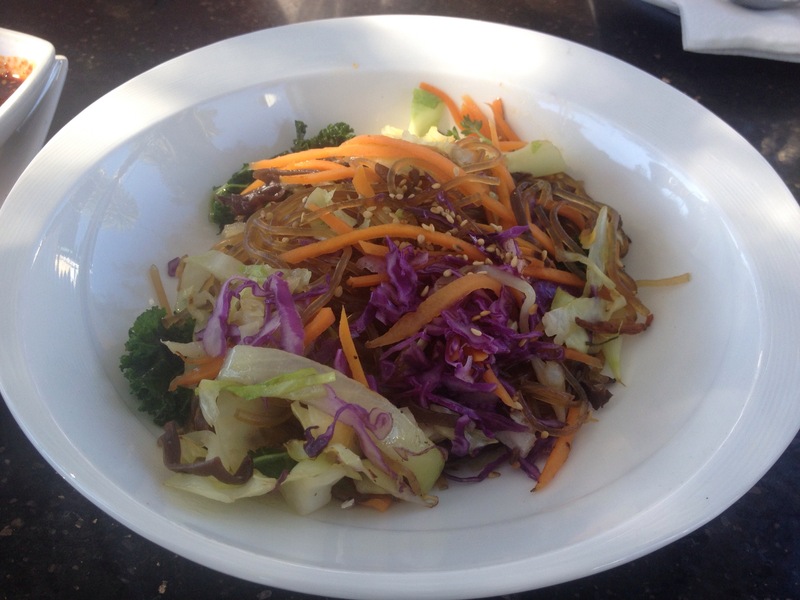 It felt very comforting to eat and the mushrooms added a distinct flavor and texture. 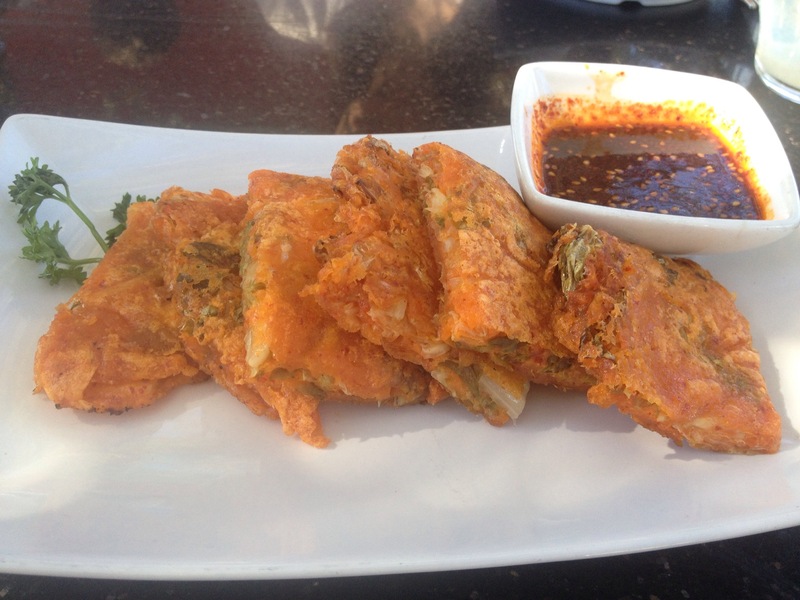 Another “new to me” dish were the kimchi pancakes. They were mild in spice and crispy. I thought these were really good and a great choice for a brunch item. 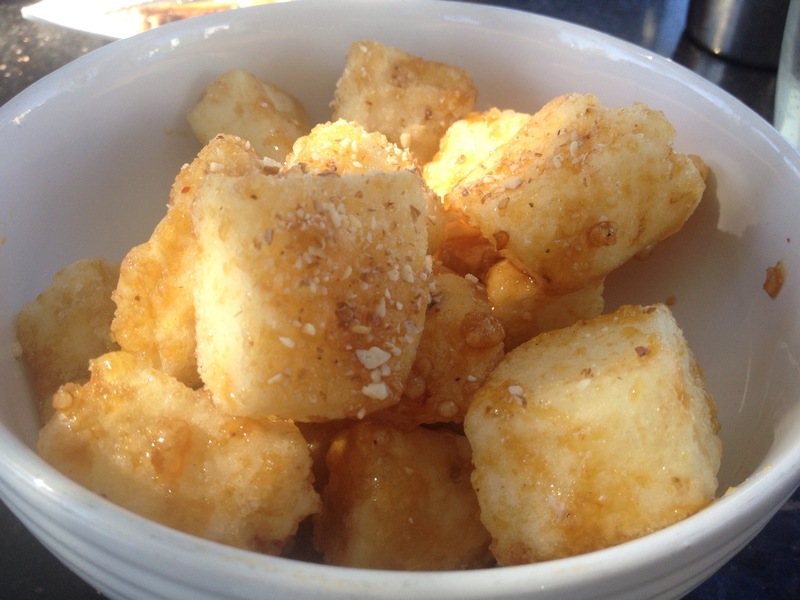 My BFF requested we get the glazed potatoes which were deep fried potatoes in a sweet glaze. If you order these potatoes, you are warned there is a 7 minute wait. These came out piping hot and were both crisp and sweet on the outside. It almost felt like I was having a dessert. We also ordered the appetizer size veggie jhap chae. Jhap chae is a dish made up of sweet potato glass noodles stir fried with vegetables including mushrooms, carrots, onions, and sesame oil. I always enjoy eating jhap chae and this one was not any different. 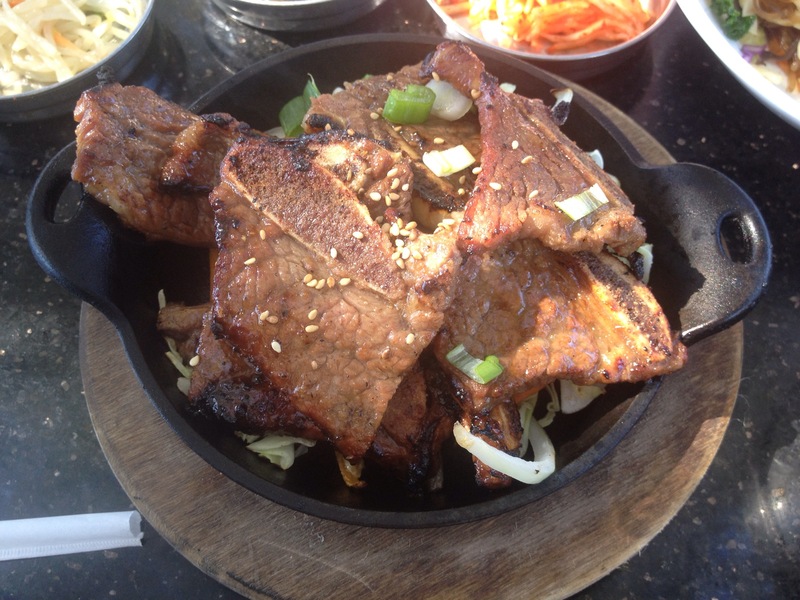 We didn’t order anything with meat, so decided to go with the Korean BBQ beef short ribs. We devoured these as well. The BBQ flavor was tasty and they were grilled well. We enjoyed Spoon very much. We got to eat outside and enjoy the nice weather, the service was great, and the food was authentic and delicious. I recommend brunch at Spoon and then grocery shopping afterwards. Never go grocery shopping when you are hungry!